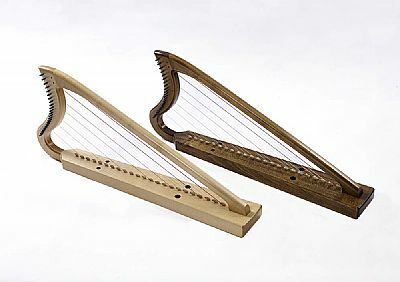 We make early, historical and traditional harps and are based in the attractive Highland village of Strathpeffer in Scotland. 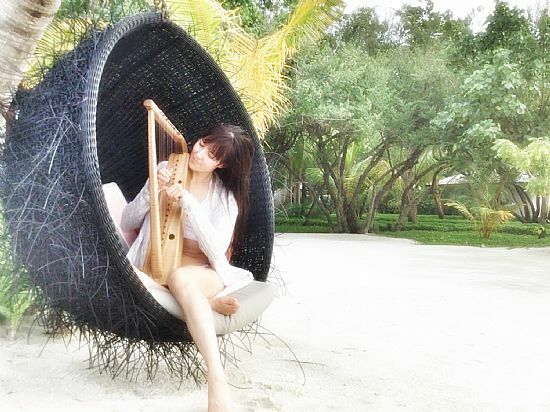 Marianne Bouvette plays a Rosemarkie by the sea in the Maldives. 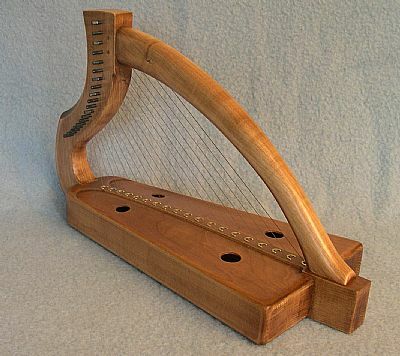 The Rosemarkie is probably the most easily portable of our harps and the Kilcoy - below - is also easily carried. 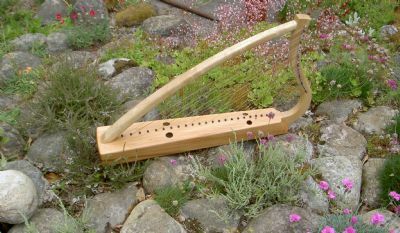 The Kinnellan is the largest of our historically constructed wire strung Clarsachs. It is shown here with Bill Taylor 'Harper in Residence' who teaches our courses. 1. 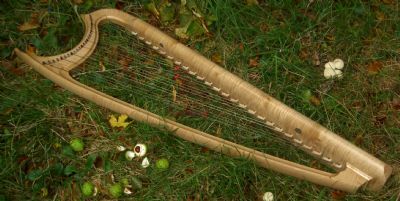 To make a range of harps appropriate for a wide spectrum of musical and playing styles using locally-sourced materials and where possible based on historical Scottish, Irish and European sources. 2. To make the harps to the highest degree of workmanship with a fine balance of musical excellence and reliability as well as aesthetic quality. 3. To listen to customer feedback, and to pursue a programme of continuous development. Over twenty years and 1000 harps later we have sent our instruments all over the world, have developed annual harp courses for beginners and players and have been privileged to have our harps used and enjoyed by many, many people both amateur and professional. On the site you will find prices and sound files and we are of course happy to consider custom requests. Phone, email or find and visit us.